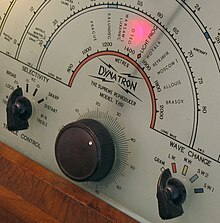 For other uses, see Longwave (disambiguation). 47°10′25.34″N 2°12′16.81″E﻿ / ﻿47.1737056°N 2.2046694°E﻿ / 47.1737056; 2.2046694﻿ (Allouis transmitter, mast 2) Time signal phase-modulated; the frequency broadcast France Inter until the end of 2016. Now only the time signal for public clocks is transmitted. The ANFR is in charge of this.